A tricky par three. 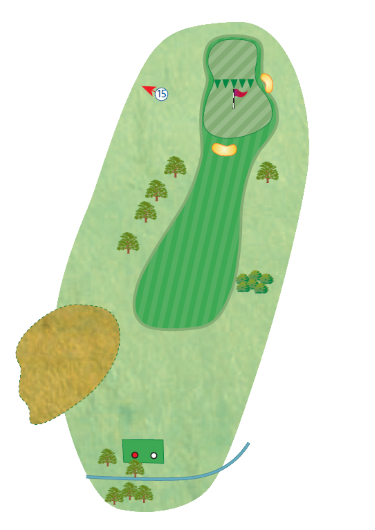 If the pin is on the lower level it is a comfortable short iron, but the two tier green gets narrower as it gets longer, so when the pin is on the upper level it plays very long to a very small landing area. Good luck.